At Deccan Tiffin we can put together an exciting, authentically Indian menu for your party. We can cater for large numbers including weddings. The buffets are sumptuous with a delicious selection of dishes, especially chosen for their complimentary flavours. We design the menu for each event separately and can cater for vegan, vegetarian, fish or mixed meat and vegetarian events. We can also design a Street Food menu with chaat dishes and kababs, served with a selection of starters, sides and desserts. Please note that all the chicken used in catering is obtained from local butchers who rear poultry to RSPCA prescribed high welfare standards. Sussex Migration Graduate Conference, University of Sussex. 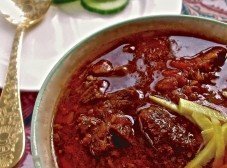 Dishes included Malvani Chicken Curry, Navratan Pulao, Chana Masala and Rice Kheer. Corporate Christmas Party in Hove – menu with regional dishes including Batata Vada and Jhinga Biryani. 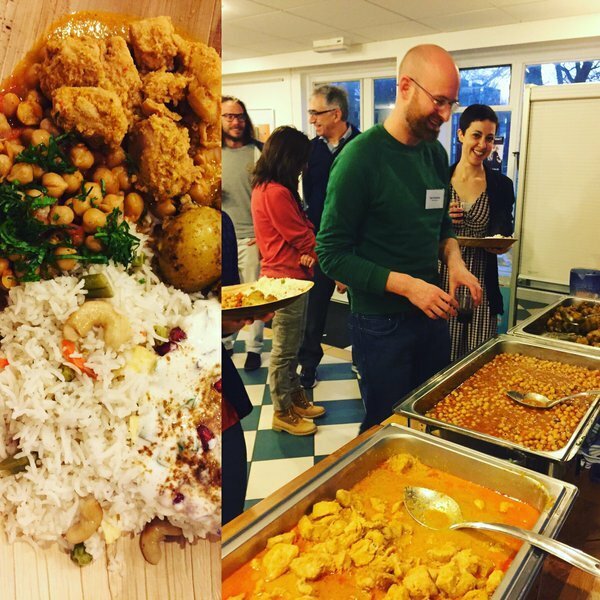 Charity Event for the Migrating out of Poverty Research Programme at the University of Sussex – the menu featured dishes from the Indian diaspora in South Africa, Trinidad and the U.K. Wedding buffet at Angel House in Hove – menu with regional dishes including Dhokla, Chana Masala, Malvani Chicken Curry, Sabz Pulao and Gulab Jamun. Vegetarian buffet with starters and mains for private party – menu with regional dishes including Onion Pakoras, Navratan Pulao, Malka Masoor Ki Daal. Catering for 40 guests at the University of Sussex Migration Phd Conference . The menu consisted of regional favourites including Malvani Chicken Curry and Pindi Chana.